Want to 3D print your creations? 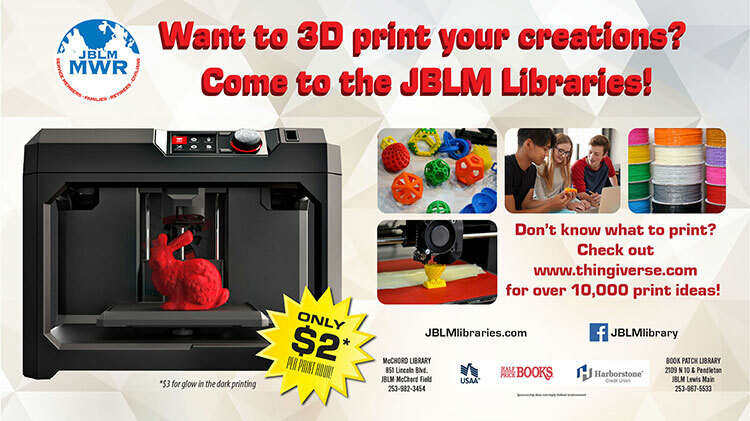 Come to the JBLM Libraries! Don't know what to print? Check out thingiverse.com for over 10,000 print ideas! Only $2 per print hour! $3 for glow in the dark printing.